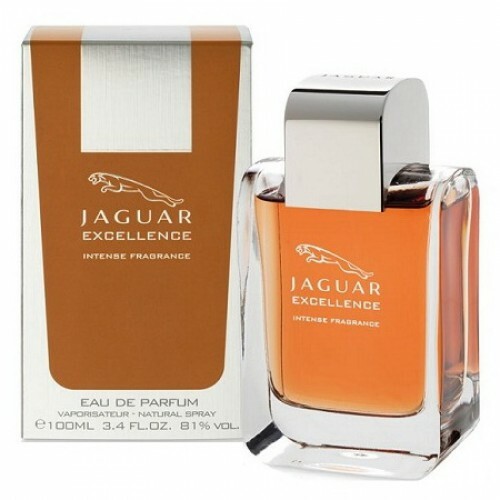 Jaguar Excellence fragrance is a real treasure for the modern man. 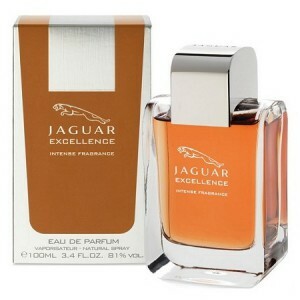 Jaguar Excellence 100ml. Eau De Toilette - Men's fragrance from the Jaguar Excellence means "excellence." Composition for a strong and successful accustomed to receive and welcome the best. Formula Jaguar Excellence combines the freshness of juicy citrus and spicy pink pepper. Rich, floral "heart" plays undertones, enticing and charming. And finally becomes sweet, oriental base, where emerges subtly resinous vanilla and amber accord, where sensual amber subjugates his power. Unobtrusive Excellence perfect for daily visits to crowded places. Release Date : 2012 Country of origin : United Kingdom Gender : Male Classification of flavor : spicy oriental Top notes : grapefruit, mandarin and pink pepper note "Hearts" : orange blossom, iris and lily of the valley Base notes amber, tonka bean and vanilla. symbol of perfection and excellence - a unique combination of elegance and strength, agility and beauty. new fragrance emphasizes the distinctive features of Jaguar combination of exciting design with the addition of exquisite detail. And all this for the expression of perfection and unique superiority. For over 90 years, Jaguar produces the fastest, comfortable and luxurious cars. Recently, the creator of magnificent machines creates amazing fragrances with no less exquisite and rich flavors. One such masterpiece fragrances hidden in perfumed water Excellence - a real treasure for the modern man. This wonderful fragrance was created to help you to declare all its superiority. To loudly proclaim: "I - a success! I - number 1! "Aroma Excellence will fill you with energy fruit ripe grapefruit and tangerines. It emphasizes your elegance and charm to strengthen soft colors and smells of orange lily timid. And finally, give a luxurious trail of amber and sweet vanilla. Stop your choice on the perfumed water Excellence from Jaguar, and a dizzying success in all endeavors will be your constant companion. Release Date : 2012 Country of origin : United Kingdom Gender : Male Classification of aroma : east spicy home note : grapefruit, mandarin and pink pepper Note the "heart" : orange blossom, iris and lily of the valley Final note : amber, tonka bean and vanilla.